I think the idea is similar to thumb wrestling. They try to close their beaks on their opponent's beak. At which point they "win". 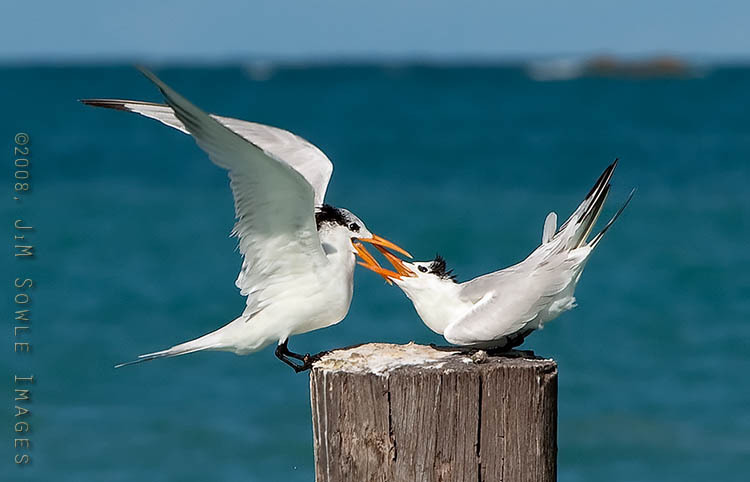 Royal Terns fighting for the piling.